Can a computer program do better than board-certffied radiologists in finding cancer? "In one panel of scans that we looked at, when you look at the number of times that radiologists sent someone home with a clean bill of health, about 7% of the time that patient was ultimately found to have cancer," said John Zedlewski, a data scientist with Enlitic, a medical technology company. When Zedlewski used Enlitic's algorithm against the same panel, there weren't any mistakes. How does it work? Enlitic's technology uses machine learning -- which some say is a version of artificial intelligence. It takes medical information from one patient -- whether it's a CT scan, an X-ray or details about, say, a tumor -- and then converts it into a mathematical representation. It's then added to a large pool of data and compared to other patients who have experienced similar issues. But Enlitic is putting it all together -- radiology, pathology, genomic, electronic medical records and more. The company is hoping its technology will hit the market in the next couple of years, and thanks to its algorithms, lives will be saved. Science fiction authors have recommended that you consult the nearest computer when sick. Larry Niven's autodoc could fix as well as diagnose. 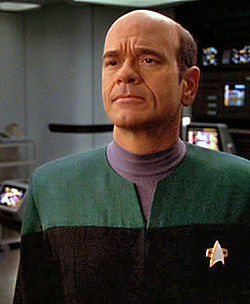 Movie fans may be thinking of The Doctor, the Emergency Medical Hologram from Star Trek Voyager. The EMH is a computer program that treats patients when medical help is otherwise unavailable.